Pink Caddy Necklace accented with Diamond Dust. in a Silver Setting. Comes with 20 in. chain (style of chain may vary). 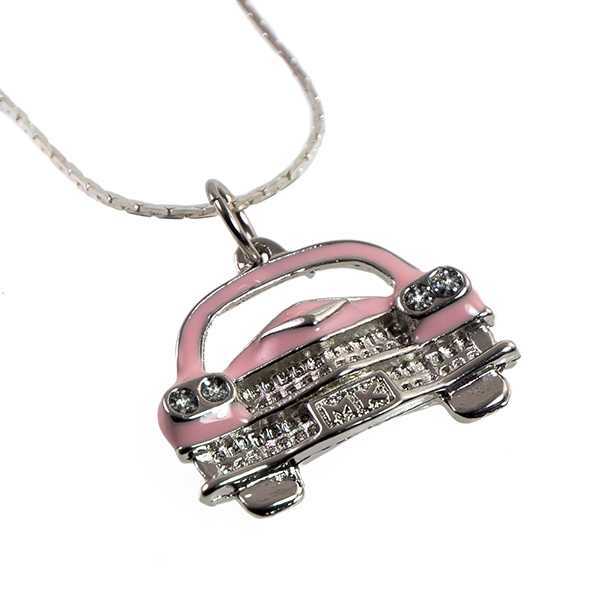 A perfect match to our Pink Caddy Earrings (EA550) sold separately. 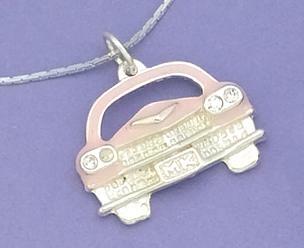 This pendant can also be used as a charm. Approximately one inch long by 3/4 inch tall.